A fluctuating, increasingly inter-dependent world-wide economy has seen the financial marketplace devise instruments to provide protection against unforeseen financial changes in the economy. Sophisticated investors use these various instruments, known as derivatives, to hedge risk. Those who don?t understand derivatives often claim that they are merely speculative instruments and akin to gambling. Such thinking is misguided. Derivatives, in their many forms, serve an important purpose. Rather than adding risk, they offer protection against rising interest rates and fuel prices, declining bond values, or swings in the price of commodities such as corn. The annual trading value of derivatives is six times that of the stock equity markets worldwide, with a face value of $335 trillion, up from $94 trillion in 2000. Few members of a trade exchange would identify their trading efforts as buying and selling ?futures,? but when moving unsold inventory or excess capacity through the barter marketplace, they?re essentially buying future options on goods and services. In other words they have the right, but not the obligation, to make a purchase in the future. Best of all, the trade dollar has no specific time frame for its use before facing expiration. Unlike other options, they?re good until used. When one acquires valuable ?trade dollar futures,? it offers a form of financial protection and insurance against the uncertainties in the marketplace. And it can be accomplished at the lower ?variable cost? of doing business. In today?s world, almost without exception, the small business owner is undercapitalized. So it makes perfect sense to embrace the barter arena, as well as the traditional cash market, to provide added financial insurance for one?s business. General Electric (GE), one of the world?s most valuable companies with a market cap of $354 billion, recently filed a 24,000-page tax return. Because the IRS requires it of companies with assets of over $50 million, it was done electronically. The cost to GE for developing the means to file electronically approximated $1 million, according to GE?s senior tax counsel John Samuels. An incredible 55% of last year?s business startups opened their doors with $10,000 or less in capital, underscoring the fact that undercapitalization is the norm for the new business owner. For the knowledgeable entrepreneur, whether new or experienced, the use of barter can play a significant, positive role in getting a business of the ground. Here?s a story about how one company used barter to build and expand its operations. Chris Lindland and Enrique Landa, the co-founders of San Francisco-based Cordarounds.com, launched their firm in the fall of 2004. Their online corduroy-pants business was opened with $8,000 between them. Couple some money with a large amount of desire and creativity, and some pretty amazing things can happen. In a short period of time they?ve not only sold 3,000 pair of pants that retail for $66 to $88 each, but they?re in the black, without any debt, according to Lindland. The two have kept their overhead to a minimum through the use of barter, convincing others to provide needed services for pants. Web design work, for example, was obtained by trading pants and several home-cooked meals. The balance, approximately 10% of the bill, was in cash. This fall the company has scheduled ads in the Harvard Lampoon in exchange for 35 pairs of pants. The owners, both in their twenties, astutely traded with yet another group, which, Lindland exclaims, ?needed us almost as much as we needed them.? Who might this group be? It is business-school prospects, a hungry group of students looking to spruce up their job applications. ?They will work hard and work for less so they can list Cordarounds as part of their business experience,? explains Lindland. ITEX Corporation (OTCBB:ITEX) has reported its results for the third quarter of fiscal year 2006, ending April 30, 2006. The firm, a leading marketplace for cashless business transactions, processes more than $250 million a year through 22,000 member businesses, managed by 95 franchisees and licensees. CEO Steven White was enthusiastic, stating, ?We continue strong growth in revenue and income from operations as a result of the rapid and successful integration of (the BXI trade exchange). We will continue to explore opportunities to grow revenue at a faster rate.? Operating income for the nine-month period ending April 30, 2006, was $1,100,000, compared to the previous $609,000 in 2005...an increase of 81%. Third quarter revenue was $3,419,000, compared to $2,345,000 in the same period the previous year...an increase of 46%. Revenue for the nine-month period ending April 30, 2006, was $11,169,000, compared to the previous $7,508,000 in 2005...an increase of 49%. Operational cash flow increased 96% from $914,000 to $1,790,000 in the nine-month period ending April 30, 2005 and 2006, respectively. Processed 73,000 transactions, totaling more than $54,000,000 in ITEX-dollars. Common stock - 300,000 shares were repurchased for $165,000 and outstanding shares totaled 18,406,132. There are no outstanding options or warrants. ITEX Corporation?s report on Form 10-QSB can be found at www.sec.gov. 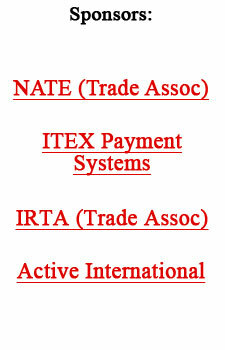 For more information on ITEX see: www.itex.com. On the way...TV at the gas pump! It?s presently being tested in Dallas, with TV monitors above gas pumps airing short clips of news, weather and traffic, and, of course, advertising. The four-minute segments of programming (about the length of time it takes to fill up with gas) will include news from local TV anchors, traffic updates, and consumer-oriented clips from ABC?s Good Morning America. All programming will be distributed to the screens electronically through secure feeds over the Internet. International Monetary Systems (OTCBB:INLM) has announced that its April revenue totaled $570,000, an increase of 35% over April 2005. The company also has purchased the assets of Indianapolis-based Barter Indiana Group. The acquisition will add 200 members to the IMS client roster now numbering 10,000 in 36 U.S. markets. For more information see: www.internationalmonetarysystems.com. Few things in this world are as succinctly simple yet delightfully complex as wine?or as old. The act of pouring a glass of wine, inhaling the bouquet, sipping the elixir, and savoring the taste is a satisfying and hedonistic treat that has captivated mankind since the dawn of civilization. Business Barter Exchange (BBX), one of Australia?s largest barter companies, is expecting wine trading to become a significant new income stream for the company. Michael Touma, Managing Director, says they are establishing a wine fund to expand trading among their members nationwide, as well as exporting wine to BBX franchisees elsewhere around the world. BBX expects to provide a minimum of $5 million, and possibly up to $10 million, in premium wine inventory to its members on a full-trade basis in the coming year. ?Housing is the next Nasdaq bubble.? Newport Beach-based Pimco (Pacific Investment Management Co.) is the world?s biggest bond fund, managing nearly $600 billion in bonds and other assets. Chief Investment Officer, Bill Gross, is often quoted in the nation?s press and in the Tuesday Report. As a firm, Pimco has been saying since July that higher interest rates will slow housing. Executive Vice President Mark Kiesel, a 36-year-old 10-year veteran at Pimco, is a little more dramatic in his comments. ?Housing is the next Nasdaq bubble, and it?s not just houses that will be for sale. You?re going to see financial assets for sale over time, and ultimately corporate bonds.? Kiesel?s belief that the U.S. housing market is about to tank is no glib remark. He is so convinced of it that he sold his Southern California home last month, and moved into an apartment. Kiesel says there?s going to be a flat-to-down market in real estate for the next two or three years.